It’s Monday, which means it’s time to head back to work after two wonderful weeks off. 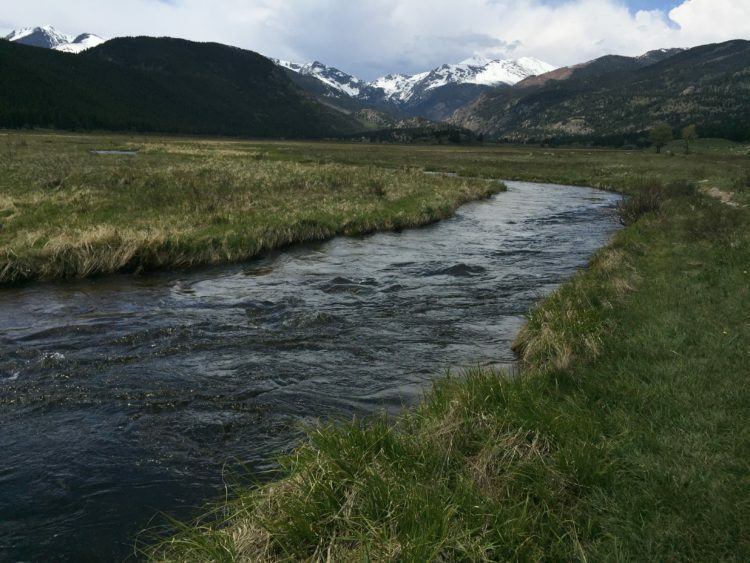 I’m definitely ready to get back into my routine, but my body was so confused when my alarm went off at 6 a.m.
One of my favorite parts of vacation was our visit to Ft. Collins, Colorado, which coincided with our two-year wedding anniversary. The college town is full of great breweries and restaurants, so it was the perfect way for us to celebrate. We planned to exchange anniversary gifts, but when we found out the traditional gift for year two is cotton we decided we would buy each other brewery t-shirts from our trip instead. 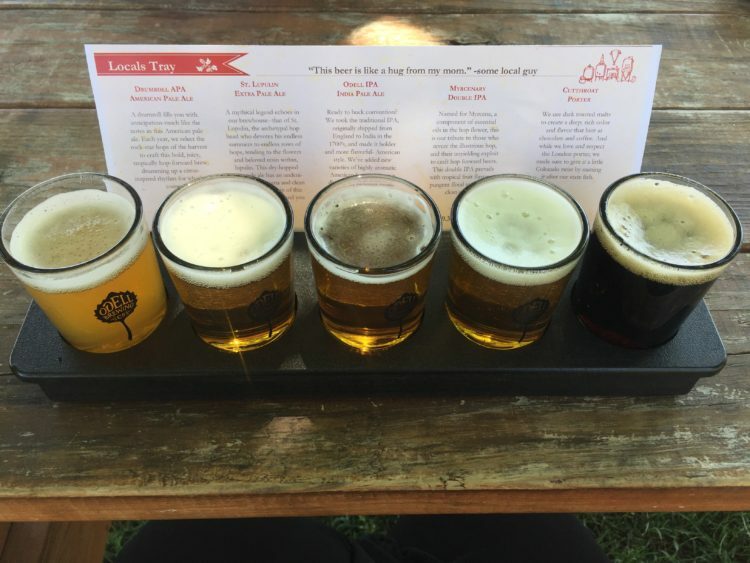 We had plans to visit just a couple of the nearly two-dozen breweries in town and started with afternoon beers at Odell Brewing. We don’t get Odell in Indiana, so it was my first time trying any of their brews and I quickly became a fan. I got the local flight, which included pale ales, IPAs and a porter. My favorite of the bunch was actually the Drumroll APA, which is a delicious, unfiltered, hoppy beer. 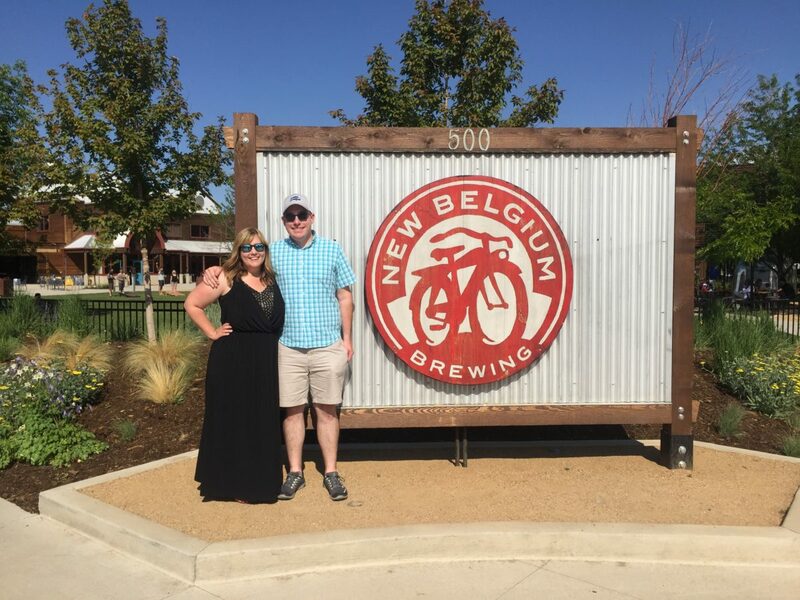 After enjoying a round of beers at Odell, we headed over to New Belgium for a tour. You can book a tour up to two months in advance, which is highly recommended. They’re extremely popular and fill up quickly! 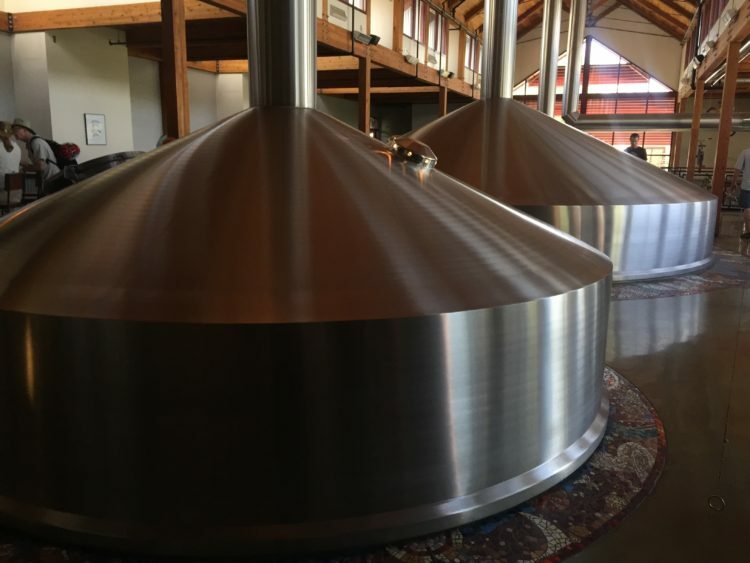 The tour takes you behind the scenes of New Belgium’s brewing operations, which started in a local couple’s basement. 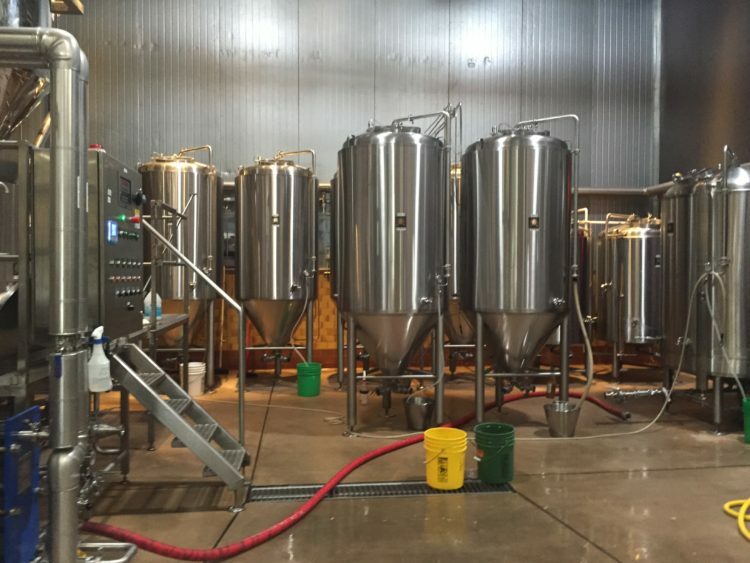 The brewery’s since grown to more than 800 employees and expanded with a second brewery in Asheville, North Carolina. It was interesting to hear more about New Belgium’s back story and the philosophy that’s guided it as it’s expanded nationwide. Even with all of its successes, New Belgium remains 100% employee owned. Along the tour we got to sample several beers and learn more about the brewing process. The tour ends with an opportunity to slide down the famous metal slide that was installed for employees to use at the end of the day. It helped to illustrate the philosophy of fun that remains central to the brewery’s mission. If you’re a craft beer fan, you can’t miss this tour! James and I grabbed a beer in the tap room after the tour and couldn’t stop talking about how much fun we had. We ended up making two trips to New Belgium during our stay and I ordered a beer from the pilot brewery each time. They’re experimental beers only available on tap at New Belgium and their fate remains uncertain, so I felt like I had to try them in case I didn’t have another chance! We could have easily spent all day hanging out at the brewery because of the large outdoor space and the long list of amazing beers on tap. But, we decided to head back downtown for an anniversary dinner at Bisetti’s Italian restaurant before turning in for the night. 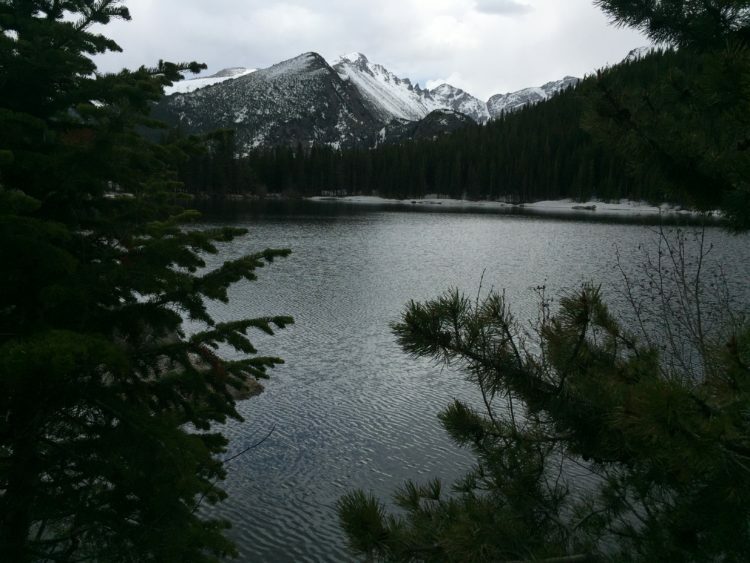 We woke up early on our second day in Ft. Collins so we could head to Rocky Mountain National Park for some great hiking. The park is about an hour away. We didn’t get to spend as much time there as we wanted, thanks to the rain. But we had just enough time to get a short hike around Bear Lake in, which is one of the most popular spots in the park for good reason. The views are breathtaking and the hike is easy. Although it was about 70 degrees out, there was still quite a bit of snow on the paths, which made the hike even more fun. We also walked around an Elk preserve on our way out of the park, which offered more great views. We spent a little bit of time popping into shops in Estes Park and visiting the famous Stanley Hotel that inspired The Shining before heading back to Ft. Collins. We met up with a friend of mine from college for a bit and ended the night with appetizers and beers at Ace Gillett’s, a jazz bar in the basement of our hotel. The bar had an impressive offering of local craft beers on tap and great food. I was sad to leave Ft. Collins because I fell in love with the town during our short stay. I have a feeling we’ll be making a return trip for the beer alone. There are so many breweries we didn’t make it to! But, for now, it’s back to the grind.